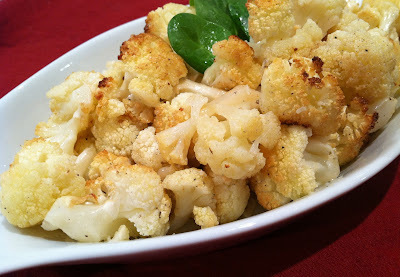 Who knew cauliflower could taste so good! Some of the best side dishes are the most simple. Even if you don't think you like cauliflower, this recipe with change your mind. The combination of the fresh garlic and lemon are perfect with the cauliflower. I think this would go best with a nice roast or meat dish. In a large bowl, combine all ingredients, accept for cheese, and toss together. In a single layer, transfer to a large baking dish and sprinkle the cheese all over. Roast for about 40 minutes until tender and roasted on top.